Thanks. Anyone know if the Monkees vinyl box sounds good? Is there any reason to get it other than the fact it looks cool? I bought the monkees set. Goes for around $120 or more on ebay. Good enough reason for me. Can just resell if I hate it but I doubt I'll do that anyway. I'd like to know if it has the correct version of 'Instant Replay'. I've been thinking about picking this up. Mine was delivered last Fri. via UPS 2-day. Did you order the Monkees box? If yes, was it the corrected version? Got it but haven't opened yet. My understanding is that this version (no RSD or "Start Your Ear Off Right" stickers) has the corrected version of "Instant Replay". My Monkees set is on its second to last stop. Due for delivery Friday, but hoping for tomorrow. Davidmk5 and The Elephant Man like this. 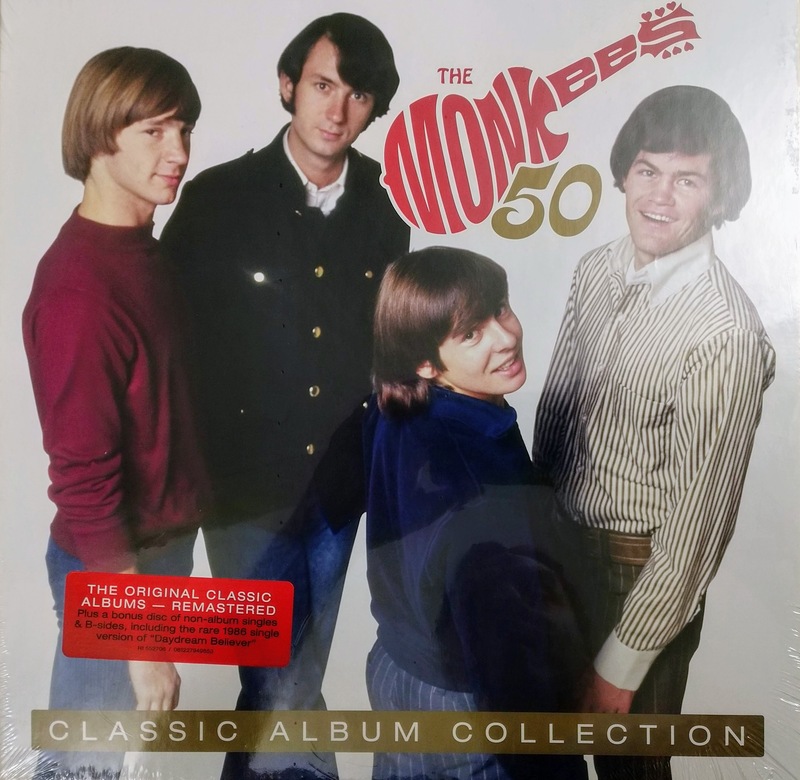 Was monkees box colored vinyl? The Monkees box arrived. Picture below. Note that the sticker has no mention of Record Store Day. Girl I Left Behind IS on Instant Replay. Covers are IMHO sort of second string--OK, but not great scans of the original artwork. Just stopped by here to mention this one, which I just ordered along with Notting Hillbillies "Missing, Presumed Having a Good Time". I wish they would give more info on titles. For instance, what version of Kraftwerk's "Man Machine" is that? riverrat, hutlock and Juggsnelson like this. FWIW, the other Kraftwerk LPs they've had in the past are the 2009 Kling Klang Digital Remastered ones, which I thought sounded good, but this one is clearly showing a different cover, so who knows? I suppose you could always contact Insound and ask them. Trans Europe Express has the wrong cover on their site too. It's definitely the 2009 reissue with that cover. Dan and oldjollymon like this. Ordered: Morcheeba- Big Calm, Jethro Tull- Aqualung (Wilson re-mix) and Black Keys- Magic Potion all for under $33. 55 percent off site wide vinyl sale is on!! hutlock and jamesc like this. This would be be awesome if it weren't the same 40-50 titles they've been flogging for the past year. Earth to Insound--refresh your stock! Thanks for the heads up anyway! THRILLED to say that there is some really great jazz there at the moment though. One of the few brand new titles added is the 2LP Coltrane Jazz on ORG for $22.49. SNAGGED!!!! They also still have that 2xLP Bernie G cut of Ornette Coleman's This Is Our Music in sale for the same price. Smart jazz shoppers can grab both for less than the price of one AND get free shipping. RUN DON'T WALK PEOPLE!!! !